Pro Truck Nationals (PTN) is proud to announce sponsorship of the first ever west coast Pro Truck class at the upcoming Dome Valley Raceway Top Fuel Shootout. $500 will be added to the purse money to sweeten the payout for this exciting category that will be contested Friday afternoon. Keep an eye out for announcements soon regarding PTN’s 2012 program. To look back at 2011 PTN info, check out www.ProTruckNationals.com. The 2012 NSRA Quality Aircraft Car Sand Times Drag Racing Series is proud to announce two great new programs as part of the series for the new season. B&J Transmissions is offering a Contingency Credit in both the Top Alcohol & Top Eliminator categories. This credit will be $100 for a class winner & $50 for a class runner-up. Those eligible for this Contingency Award will be those using B&J products and displaying their sticker. For more info on B&J Racing Transmissions, go to http://www.bandjtransmission.com/. Torco Race Fuels will be the presenting sponsor of the Best Appearing Car award at NSRA series events. More details will be announced on this program soon. Torco has been great to the sand drag racing community, and their continued support is very much appreciated. To order fuel or learn more about Torco, you can go to http://torcoracefuel.net/index.html or call them at 480-288-9385. San Luis Obispo, CA, January 30, 2011 - Coming on the heels of two top ten finishes at the SCORE Laughlin Desert Challenge, Canidae Racing looks to double up on the action this week competing in the trophy truck class at the "BITD BlueWater Parker 425" race and firing up their Canidae Pet Foods top fuel sand dragster at the 3rd annual "AZ vs Cali Top Fuel Shootout" at Dome Valley Raceway in Welton, AZ -- both on the same weekend. Shelton’s Dirt Drags in Stanford, KY has released the flyer for their upcoming “Spring Fever” event on April 13-14. This event will feature both Cars and ATV’s. For more information on Shelton’s Dirt Drags, go to www.sheltonsdirtdrags.com. Click “Read More” to view the event flyer. 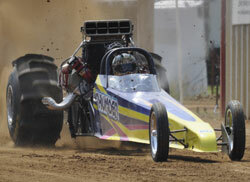 NSDN is looking forward to a big year of sand drag racing coverage. It’s an exciting time as the new season is just around the corner. As a matter of fact, next weekend will be the first test session of 2012 at Dome Valley Raceway, where some new rides will be debuted and cars dialed in for the upcoming Season Opener. Keep an eye out for updates from the test day. NSDN kicks off 2012 with a busy month of racing starting off with the Top Fuel Shootout at Dome Valley Raceway. This will also be the first race for the NSRA Quality Aircraft Care point series. It’s shaping up to be a great event with racers from across the country planning to head to Arizona February 2-5. Next up is the first trip for NSDN to the Dumont Dunes for the 40th Anniversary Las Vegas Jeep Club Jeep Jamboree. 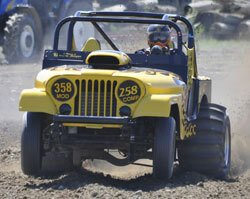 This event, featuring Hill Climbs on Saturday & Drags on Sunday, takes place February 18-19. I am certainly looking forward to seeing that event for the first time in person. After that is a trip back to Dome Valley Raceway for the March Madness event on March 3-4. Three big events in a five weekend span will be a lot of travel, but definitely should be a lot of fun. Stay tuned to NSDN for all of the latest from these events. Shelton’s Dirt Drags in Stanford, KY has released their 2012 race schedule. Their season will be highlighted by the PSDA National Event “Shootout at Shelton’s” June 7-9. 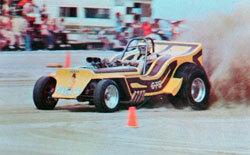 Even though Shelton’s events are predominantly ATV-only, there are two events that will feature both ATV’s & Cars. These will be the “Spring Fever” event on April 13-14 as well as the “King of the Flat” race on October 5-6. For more information on Shelton’s Dirt Drags, go to www.sheltonsdirtdrags.com. To view their full 2012 schedule, click “Read More”. As the new race season approaches, let’s take a look back at some great Nostalgia material. Butch & Terri Blair supplied us with some great Magazines and materials to go through from the Late-70’s / Early-80’s. A huge thanks to the Blair’s for letting me go through these great magazines filled with sand drag racing history. Let’s take a look at some of the cool things that I came across. Atoka Motorsports Park (Atoka, OK) and Thunder Valley Sand Drags (Grain Valley, MO) along with National Sand Drag News and Trower Racing present the new Mid-America Sand Drag Series. This point series will feature four races total with two events at each track. The dates for this series will be May 25-27 / Oct 12-13 at Atoka Motorsports Park and June 15-16 / September 21-22 at Thunder Valley Sand Drags. For the details on this series, click the “Mid-America Point Series” link on the main menu of NSDN or go to http://www.nsdn.us/index.php?option=com_content&task=view&id=534&Itemid=1. 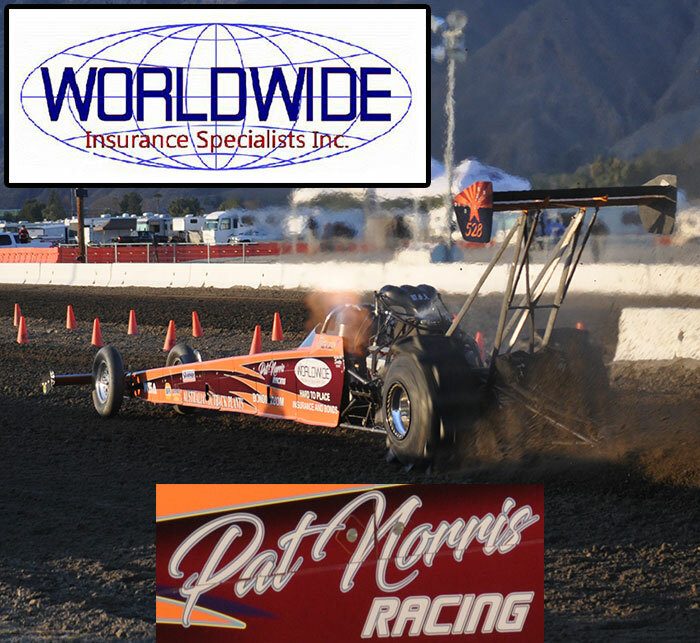 The Southern California Sand Drag Association (SCSDA) is preparing to kick off their 2012 race season March 30-April 1 at the Soboba Casino in San Jacinto, CA. This will be the first of four events on tap in 2012 for the SCSDA. Click “Read More” to view the event Flyer. Dome Valley Raceway has announced their Pre-Season Test and Tune for January 21. 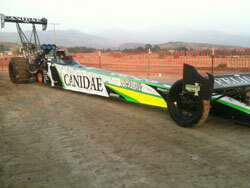 This Test and Tune day is two weeks before the 3rd Annual Top Fuel Shootout at the Wellton, AZ track. Click “Read More” to view the Test and Tune Flyer.